Cars need regular maintenance in order to perform efficiently, safely while driving, car tires is one of the most important component that has to be regularly checkup and maintained, to ignore this component could impact a lot in the car performance and the most significant is the safety of the family in the car while on the road. Wheel care or called alloy rim will be discussed in the later part of how to maintain it. How often to check tire pressure? 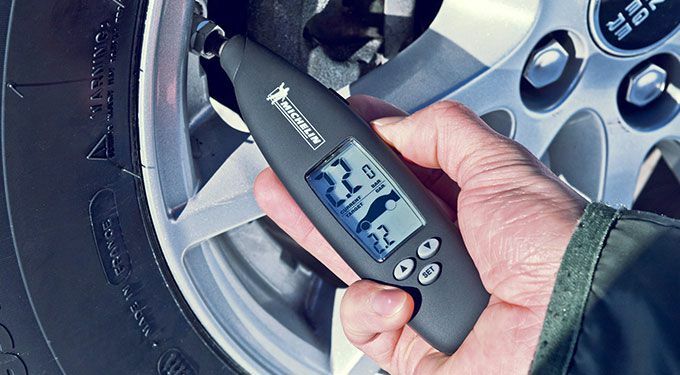 Monthly check up of your car tire pressure, including the spare one, tires have the tendency to lose one pound per square PSI pressure every month. What is the best time to check tire pressure? 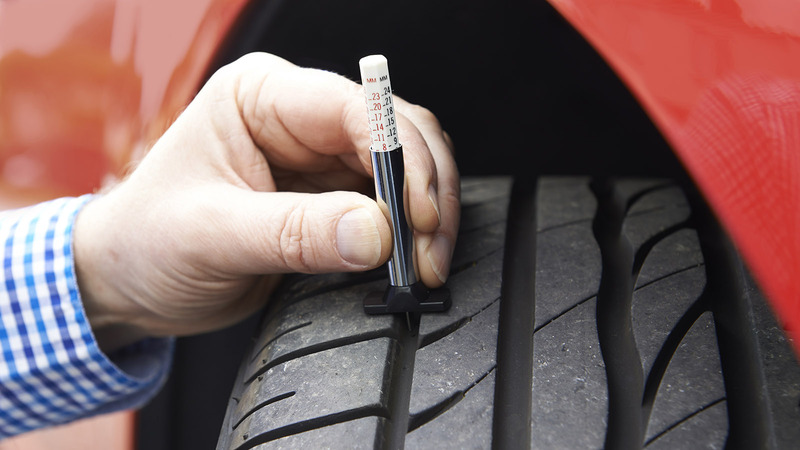 Better to check the tire pressure when the tire is cool, avoid checking when the tire is in hot condition. Strictly avoid to deflate a hot tire. A sticker placed on the front side door panel is the recommended tire pressure for your car. Don’t confuse with the reading numbers of the side tire wall, it doesn’t indicate the tire pressure. In addition the general tire pressure can be best with the owner demand, 28 to 32 PSI front and 32 to 35 back tire PSI is the recommended tire pressure for all cars, more pressure means less fuel burn with less wear and tear but you lose road grip especially in close corners at high speed. Can be check from gas station, but mostly their gauges are faulty and unreliable. Buy a good pressure gauge from the store and check it at home at any time. How to check the tire pressure from gauge? Insert the front knob at the valve which is fixed in every tire to monitor and maintain tire pressure. Results are shown on the gauge in numbers. What is the function of tire valve? Valve made up of rubber and replaced every time when the tire is replaced or sometimes replaced if the valve has air leakage problem. Valve function is to monitor and maintain tire pressure, it also blocks moisture to go to inside. In addition valve cap is another important part of the tire, good quality caps hold tire pressure and block dust particles to go inside. 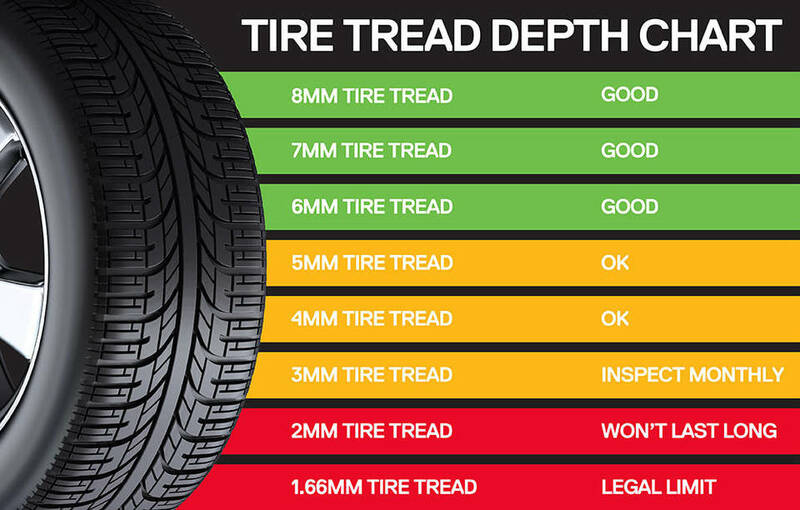 What should your tire tread depth be? Normally the standard tire tread depth is about 2/32 inch, in wet conditions the tire tread depth would be 4/32, less than means the time has come to replace the tire, however the tires can go more on these below depth, but it lost the traction, road grip control while on the road. How to check tire tread depth? It can be check from tested gauge. It can be check by penny coin. Or can be check via manually without gauge through looking at your tires and see the tire design are fainting from the tire, if this is happened then tires need replacement. How often should you rotate the tires on your car? 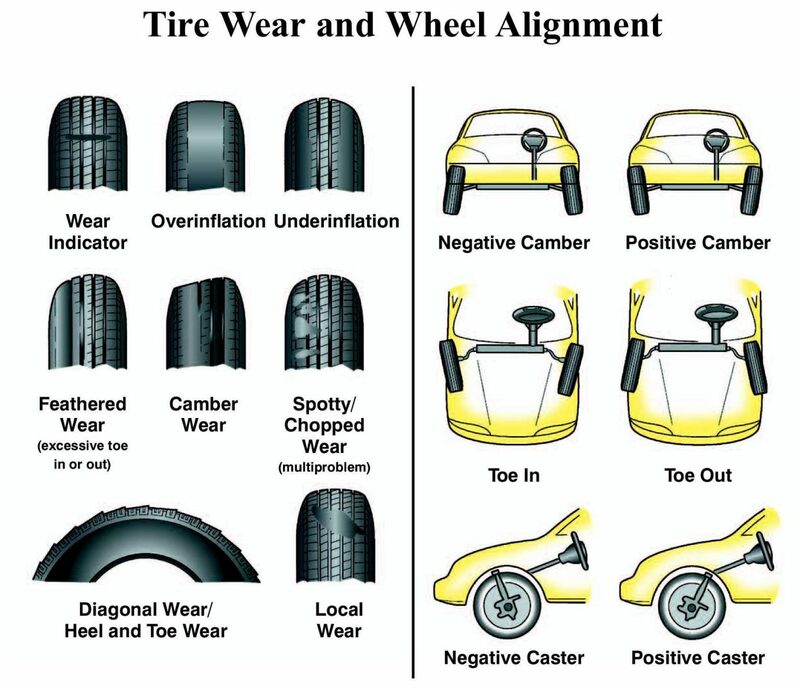 Rotation of the tires after 4000 to 6000 miles, both front tires at the back and back at the front, tire rotation do to make the all tires balanced in terms of wear and tear. How long the tires can last? Tires can last up to 25000 miles. Check the manufactured date on the side wall of the tire, always buy fresh date tires. How often tire alignment is required? Only when you feel the tire is drifting or pulls to one side, while on a flat or straight road. Steering position at straight road remains at an angle. You car hit to a hard object. See a wear pattern on the front edges of the tires (outer edges). Require at every time when you replace tires. Why the tire alignment is important? To reduced wear and tear of the tire. Increased passenger comfort, fuel efficiency, traction, and stability control. Wheels of the car need to be cleaned regularly and removed any dust particles and metal fragments, these metal and dust particles can be embed in to the wheels paints in hot temperature which cause the wheel to start an erosion. Wheel are more vulnerable to stones and dust therefore need a special care for them. What is the best way to clean alloy Rim (wheels)? Frequent cleaning would be required it depends how much you travel on your vehicle. Cleaning start from water, remove all dust particles from water before start cleaning. Use recommended rim cleaner for alloy rim, spray the wheel completely and wait for few minutes as recommended on the cleaner bottle. Clean the liquid from soft brush or sponge. Use water to remove all dirt and dry it out from soft cloth. Don’t clean your wheels in car wash they have a hard brush which could scratch them. Avoid using steam cleaning, it could damage the shine of the wheels. Use protective coating as called shiner (glossy paint, liquid wax) which is the best to protect your wheel paint and shine from any scratches while on the road. All These Are The Best Car Tire and Wheel Care Maintenance Tips.